Zeiss CP.2 Super Speeds a bit out of your price range or simply too bulky for your run-n-gun style of shooting? Get the same results in a lighter, smaller, and more affordable package with the Zeiss ZF.2 Speed Prime Set by Duclos Lenses. Duclos Lenses now offers a set of Zeiss ZF.2 primes with a common, fast aperture of f/1.4. Similar to the Zeiss Super Speed CP.2 lenses, this set features the fastest, most bokeh inducing lenses that Zeiss has to offer in their light-weight, compact line-up of ZF.2 lenses. 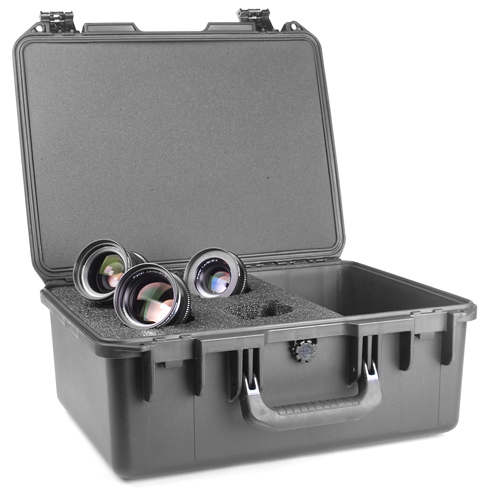 The combined Zeiss ZF.2 lenses, Duclos Lenses Cine-Mod, and a custom foamed flight case, offer a set that is ready to go, right out of the box. Duclos Lenses also offers a set with pre-installed high quality, stainless steel Canon EF Leitax mounts.